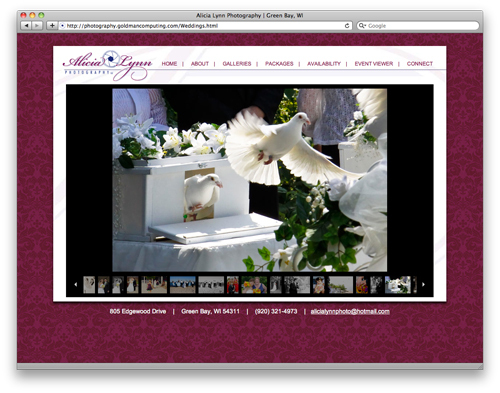 We are excited to announce the completion and launch of Alicia Lynn’s new photography website! It features tablet compatible photo galleries that you can view via mouse click or finger swipe. Check it out at AliciaLynnPhotography.com. 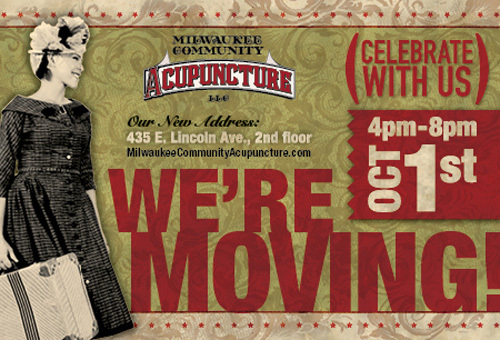 Milwaukee Community Acupuncture is moving to a larger location in Bay View! Celebrate with them during an open house from 4 to 8 p.m. Oct. 1. Beginning October 3, they will be taking all appointments at their new location: 435 E. Lincoln Ave. on the second floor, above Cafe Centraal. Lagom Therapeutic Massage, Saffron Yoga Center and Dr. Jon Duris of Cream City Chiropractic will also be moving into the space. 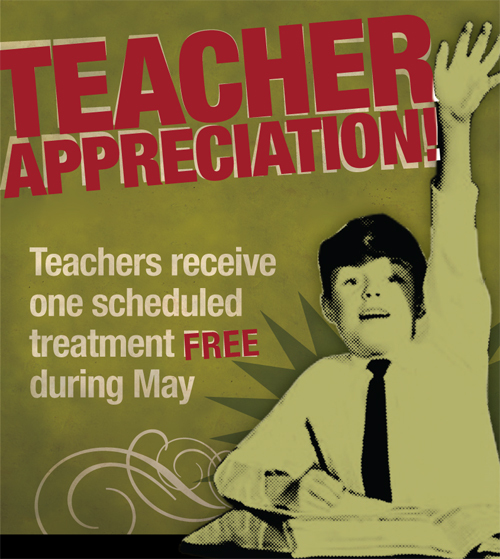 During the month of May Milwaukee Community Acupuncture is extending a big “Thank You” to all hardworking teachers by offering one free scheduled treatment! New patients and returning patients are all welcome! Make your appointment today. 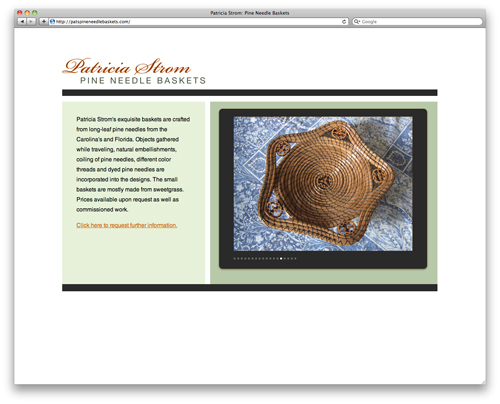 This is a simple portfolio site that focuses on Patricia Strom’s beautiful pine needle baskets. Her work will be for sale tomorrow in Milwaukee at Fernwood’s Juried Art Show. Be sure to stop by! $2 donation at the door – kids are free! 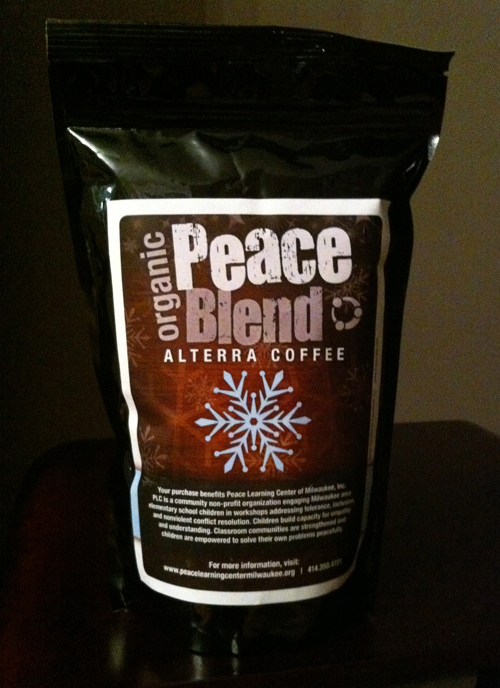 We designed a coffee label for Peace Learning Center of Milwaukee, Inc. It was sold at the Friends International Gift Fair and Outpost Natural Foods Alternative Gift Fair. PLC inspires kids to make healthy, nonviolent choices to manage daily conflict. The fundraiser was a success and raised hundreds of dollars to benefit the non-profit. 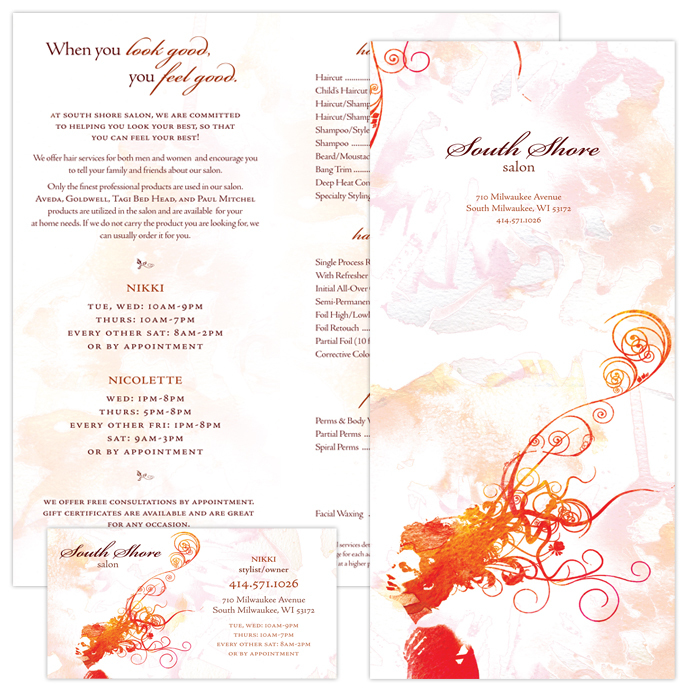 We have some new work for South Shore Salon, located in South Milwaukee. They offer hair services for both men and women using the finest top shelf hair products! 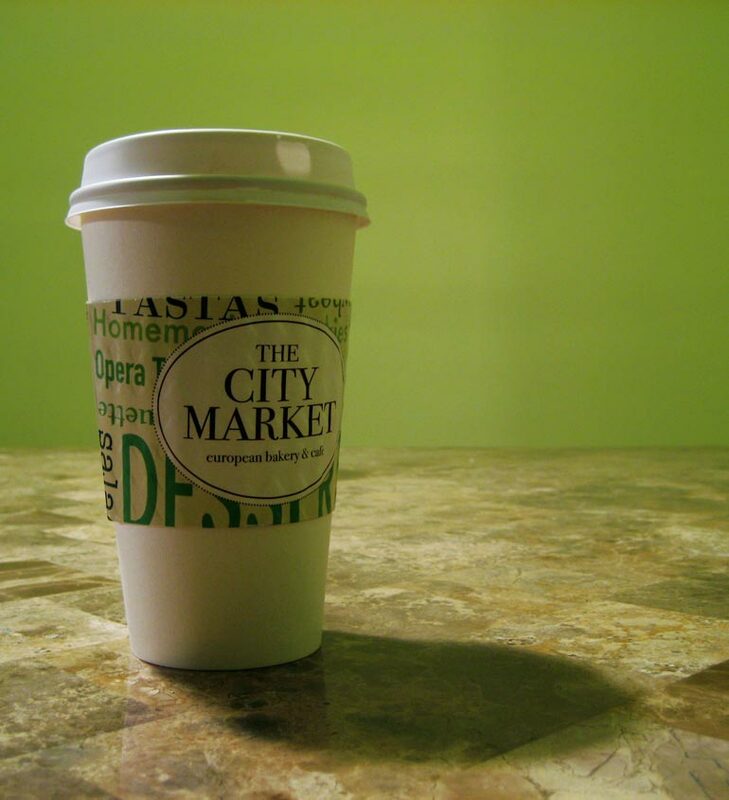 Next time you’re at The City Market, check out the coffee sleeves we designed! They offer up a yummy assortment of foods and bakery. 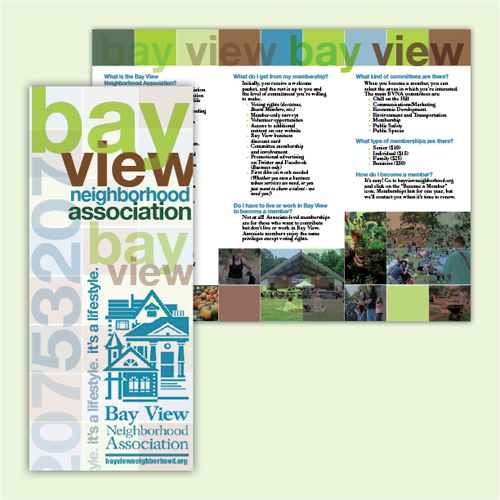 You’ll find them at their 3 great locations, one in Shorewood and two in Wauwatosa. This is precisely what laser cutters where meant for. 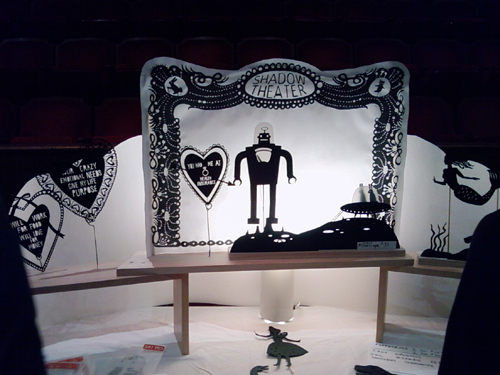 Owly Shadow puppets allows playful vignette lovers to create their very own theatrical scene. Andrea Everman is an architectural model maker for a small company in Chicago. She came up with this ingenious idea one day when she decided to try and cut out her drawings. More of her puppets can be seen via her Etsy page: Here. The sale was scheduled for yesterday from 9am until 10pm at the UW-Milwaukee Union, however it had to be canceled due to the winter storm. Frankie Flood, the Metals instructor, will get back to us with a rescheduled date and time. Please stay tuned. 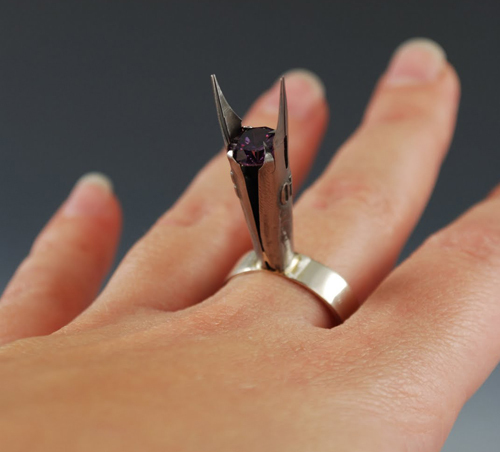 In the mean time check out the bespoke-objekt blog to see what the metals program has been busy with. It will blow your mind!